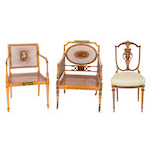 The April 27 auction catalog is live and bidding is open. 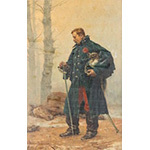 This auction starts at 9am Eastern and includes all bidding types (live, internet, and absentee). The public preview is Friday, April 26th noon to 6pm Eastern or by appointment. Our next auction is July 13, 2019. The consignment deadline is April 15. We are open by appointment only. 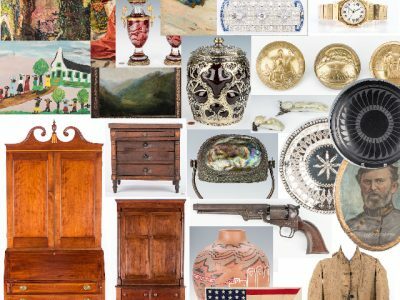 If you are interested in consigning items for an auction, click here for information on selling/consigning with us. 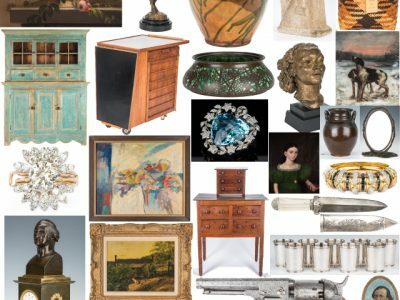 Thank you for a very successful Winter catalog auction! Over 4700 registered bidders from 65 different countries competed to drive record results and the highest sale total in company history. 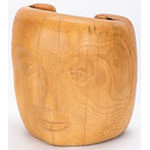 The highest selling lot was a female sculpture carving by Tennessee artist, William Edmondson, realizing $324,000 (including the buyers premium). 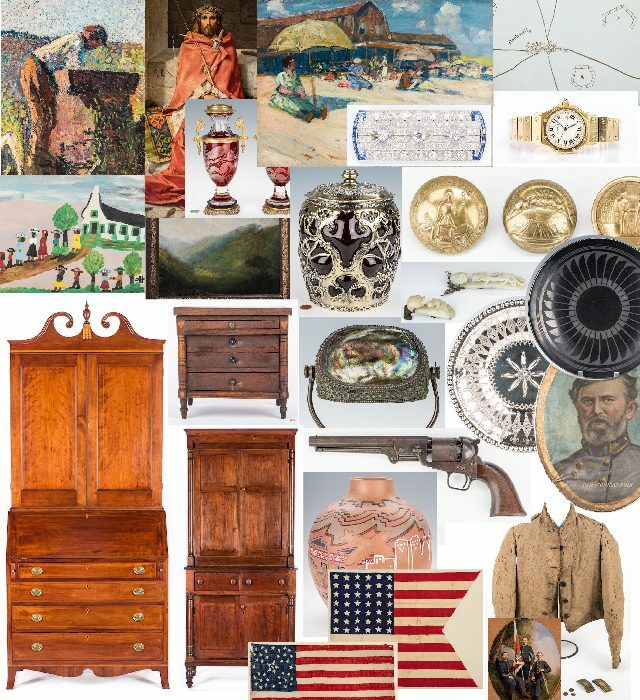 The auction was 859 lots featuring art, antiques, and jewelry from the estates of Jim Maconkey, S. Carolina; Delle Brown, Nashville; Bernard Werthan, Nashville; Olen Bryant, Clarksville; Martha Lyman, Dayton; the collections of Nancy Walton, Knoxville; Brad Swanson, Abingdon VA; Benjamin C. Dysart III, Brentwood; Johnny Maddox, Gallatin; H.R. Slaymaker, Nashville; and the Hunter Museum, Chattanooga, and from other fine Southern collections and estates. 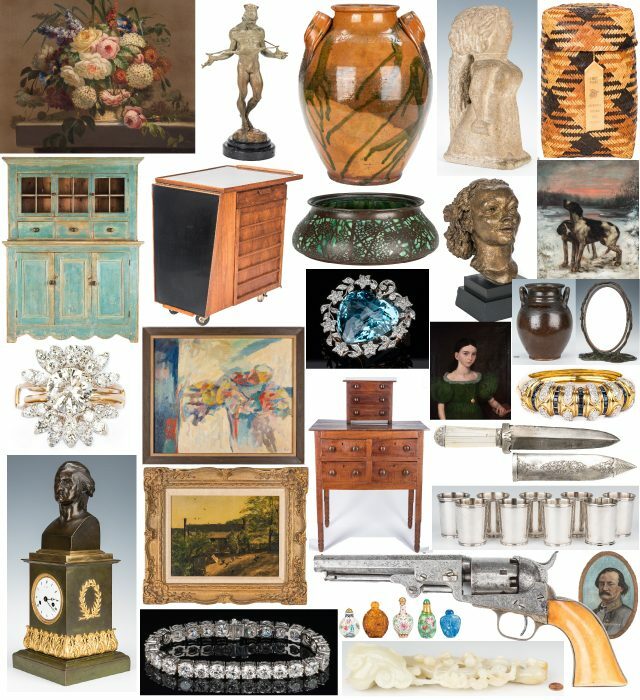 Our Summer Cataloged Auction was held Saturday, July 14th starting at 9 AM Eastern Time at our NEW Knoxville gallery, with live, phone, absentee and online bidding. 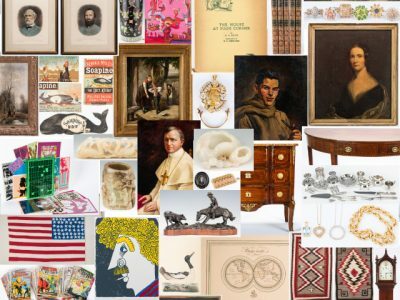 The auction included 879 lots, featuring art, antiques and jewelry from the collections of Mr. and Mrs. H.R. Slaymaker of Nashville, Wilma and Jack Murray of Knoxville; and Johnny Maddox of Gallatin; the estates of Martha Goldsmith of Clarksville, Larry Casey of Jackson, and Charles Boyd Coleman of Chattanooga, and other fine Southern collections and estates. NOTE: ALL REALIZED PRICES INCLUDE THE BUYER’S PREMIUM.